Iga Ryu 伊賀流 is also known as the “Iga tradition of Ninjutsu” and was developed between the towns of Iga and Ueno in the region of Iga, Japan. Iga region was where the Iga mono or Iga Ninja orginated. 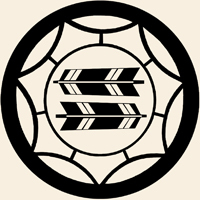 The Iga Ninjutsu schools are the primary focus here at Kernow Bujutsu and generally follow the Takamatsu – den lineage as well as historical reference texts such as the Ninpiden and Bansenshukai. However we also study elements from Kishu Ninjutsu from the Shoninki text on Ninjutsu. However it is believed that the Kishu tradition was founded by Iga Ninja after the invasion of their region by Oda Nobunaga.